And remember the $5 billion website, 5 billion we spent on a website, and to this day it doesn’t work. A $5 billion dollar website. I have so many websites. I have them all over the place. I hire people, they do a website. It costs me $3. You could also get a free domain name by getting a subdomain. For example, instead of registering SomeWebsite.com, you might get SomeWebsite.FreeWebSites.com. The benefit here is, obviously, that it is free. The downside is that your website constantly advertises the free service alongside your brand. I went over hosting options last year. To summarize that post, you can get an inexpensive shared hosting, a slightly more expensive but more stable virtual private server, or the most stable but most expensive dedicated server. Which option you choose depends on your needs. A new website might start out on one hosting option and move up through the options as it grows. There’s also a fourth option: The free website hosted by a service such as WordPress.com. This often comes with a free subdomain (see the previous section), can have reduced branding options, and may or may not require you to show ads that profit your free host. Now, you’re finally ready to build a website. At this point, you could install WordPress, grab a free theme, add your content, and call it a day. The total cost for this would be nothing (except for your time). If you needed any custom work done – including if you were hoping to construct a massive web application, this would require hiring a web developer, such as myself, either full-time or as a freelancer. You might also need to hire a designer – to craft your site’s look and create your site’s images – and an SEO expert – to make sure you rank as high as possible in the search engines. Either way, this would cost you a lot more than $3. If someone asked me to build them a website for their business with a budget of $3, I’d spend a couple of minutes laughing before declining the position. If someone claimed they could build a massive web application that would serve millions of users – for the price of a couple of Starbucks coffees – I’d seriously look into what massive corner cutting was going on. About the only way I could see a major website being built for $3 is by outsourcing to a country (such as China) that has a population of technical people who are very poor and don’t have any minimum wage legislation. Even then, I’d wonder what those web developers were doing on the side – perhaps saving a copy of secret company data to sell later. 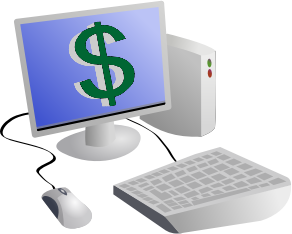 In the end, the price of your website depends on how much work needs to be put into it. Building a website doesn’t need to break the bank, but in all but the most casual of cases, though, building a website will definitely cost you more than $3. NOTE: The image above was created by combining "Dollar symbol in 3D" by vijayrajesh and "Cartoon Computer and Desktop" by DTRave. Both images are available from OpenClipArt.org.